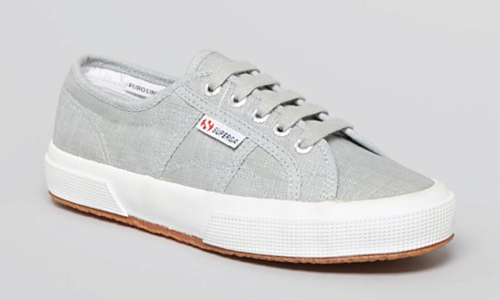 Recently stumbled upon a pair of must-have, go-with-everything, good-luck-with-these-in-any-amount-of-snow, light grey Superga sneakers. Turns out, the girl is grey and she comes in numerous different likenesses of the monochrome. Lucky you, the favs are on sale right now at Nasty Gal – but here are your options. 5. 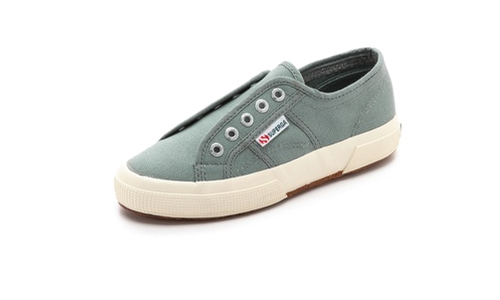 The very skinny Alexa Chung rocking Supergas.